Fairmont Copley Plaza has been a symbol of Boston's rich history and elegance since its gala opening in 1912. 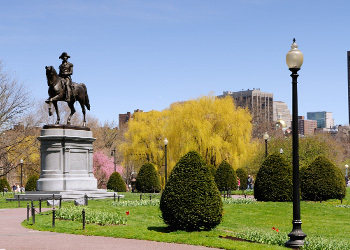 Centrally located in beautiful Back Bay, this luxury hotel is just steps from many popular historic sites, as well as the celebrated boutiques on Newbury Street. Board basis is room only. Price based on 2 adults sharing a twin room. Price based on 09 December 2019 departure flying from London Heathrow with Virgin Atlantic. Offer is subject to availability and My America Holiday reserve the right to withdraw this offer without prior notice.